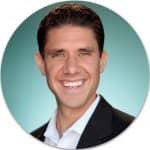 I’m pleased to welcome Dr. Eric Zielinski to the blog today– you might recognize him from the Essential Oil Revolution Summit, as well as many of the amazing articles he writes and shares on his blog. He’s an expert when it comes to natural remedies (and especially essential oils!) 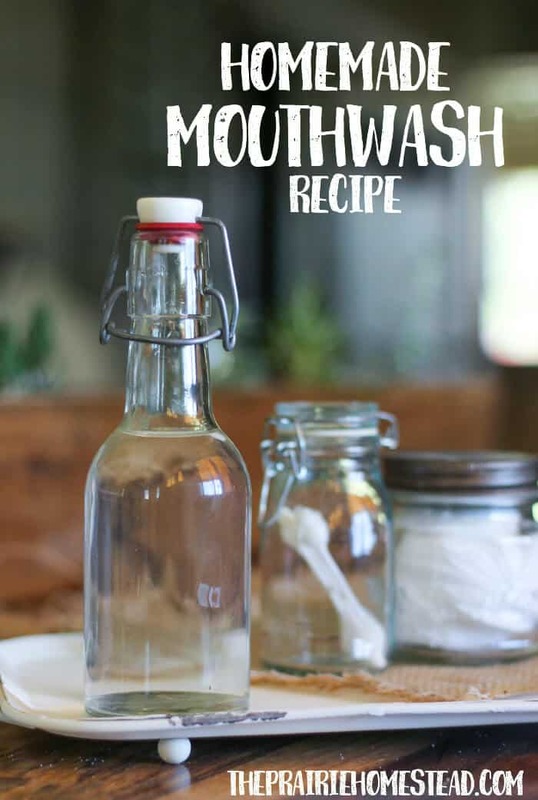 and is sharing his recipe for homemade mouthwash today. When I met my wife 10 years ago, I fell head-over-heals in love with her almost instantly. We had one of those whirlwind romances. We met in June 2006, got engaged three months later and were married December the same year. Like most guys during the courting stage, I would have done virtually anything to win her heart. I was even so mesmerized by her beauty that I broke a commitment I made to myself a few years before we met to never use toxic body care items, and went to the local drugstore to purchase some mouthwash. At all costs I wanted to impress my new-found-love, and I will never forget how I felt after I first rinsed my mouth out that Listerine. There are so many reasons why we shouldn’t use 99% of the store-bought mouthwashes out there, and the worst part of it all was that I knew what I was doing was bad. I just didn’t think I had an alternative. First off, most mouthwash products contain harmful chemicals like chlorhexidine and triclosan – a registered pesticide since 1969 and a dangerous preservative that the FDA just recently banned from a number of body care products. Secondly, conventional mouthwash destroys the microfloral balance in your mouth, and can literally dampen your immune function. It’s shocking how powerful this stuff is, and how harmful it can be when you look at the research. I recently spoke at a holistic oral health summit, and I was shocked to learn that up to 90% of all diseases people suffer from can be linked to poor oral health. Believe it or not, your mouth is literally the window to your health. If this sounds like an exaggeration, it’s only because I’m the first person to tell you! To put it into practical terms, have you ever heard it recommended that you should put a drop of frankincense essential oil under your tongue as a natural solution for a variety of health conditions? It’s actually a pretty popular recommendation in the blogosphere. Well, there’s a good reason why people recommend it. Because it works! Traditional aromatherapy teaches that this technique is one of the most effective ways of getting the therapeutic constituents of essential oils into your blood stream. Now, what do you think this looks like when the coin is flipped? Just consider the potentially harmful toxins that swish around in your mouth when you eat processed, fast foods, drink beverages filled with neon color and artificial colorings, and ingest toxic beauty products. And, yes, ladies, you ingest literally dozens of chemicals by licking your lips throughout the day if you wear lipstick! The reason I’m telling you all of this is not to freak you and get you all paranoid about using makeup, but to emphasize what I mentioned above: your oral health is a window, providing a clear view of how healthy your body is. If your oral health is poor, chances are you’ll develop one or more chronic diseases. If your oral health is strong, the likelihood of you staying healthy is in your favor. The key takeaway message is this: you do not need to use store bought mouthwash to have a healthy, clean mouth. In fact, you will want to stay away from these products and do-it-yourself! 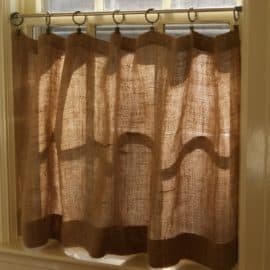 Going back to my story of how I met my wife, I will never forget how I felt after I swished around Listerine around in my mouth for a few seconds. Instantly, I felt a little nauseous – a telltale sign that I just did something my body wasn’t too happy about. Then, after the burning stopped (it was so painful it made my eyes water), the inside of my mouth felt like the skin of a kiwi fruit – all fuzzy and somewhat raw. Note, this was only discernible to me after the sensation of touch returned because the mouthwash made my mouth numb for a few minutes! 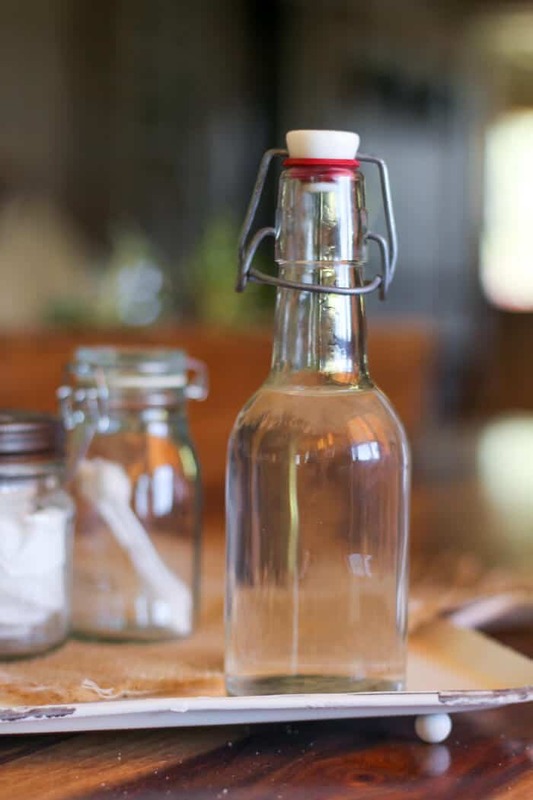 Today, if I want fresh breathe to make snuggling up with my honey a little more pleasant I go the DIY route and do something like this homemade mouthwash recipe below. It doesn’t hurt, is wonderfully effective and I can rest assured afterward that I did my body good. 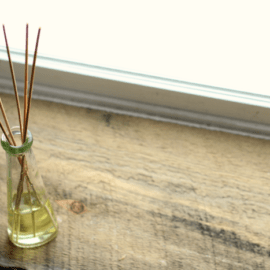 In a medium glass bowl, whisk together essential oils, baking soda, carrier oil and witch hazel. 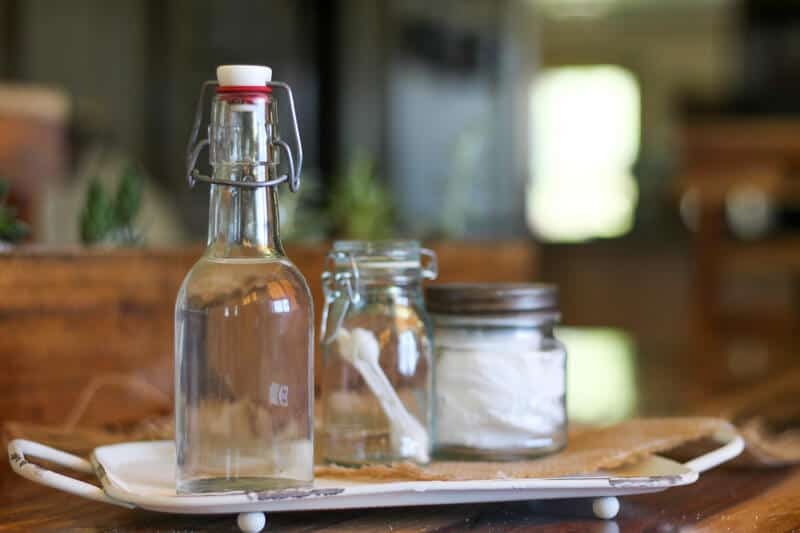 Put mixture into a mason jar and fill container with water. Tighten lid and shake vigorously for 15-30 seconds. The mouthwash is ready for use. Swish in your mouth for 10-15 seconds and rinse. Store remaining mouthwash in mason jar. Founder of DrEricZ.com and Biblical Health Academy, Dr. Eric L. Zielinski is a sought-after public health researcher, Biblical health educator and speaker. Dr. Z’s mission is to provide the world with simple, evidenced-based tools that they need to experience the Abundant Life. He lives in Atlanta with his wife and children. Are there any links available to support the oral health facts noted above? I’d like to read more. Thanks! How much coconut oil? 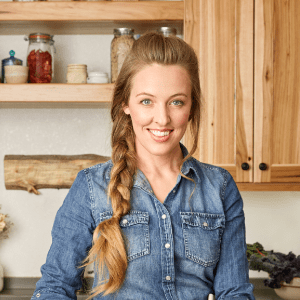 The recipe lists both Tbsp & tsp. My husband loves mouthwash, but since I’m skeptical (and do all of the shopping), I don’t usually buy it. It always seemed so harsh. This is definitely something to try out! He’ll love it! Keep us posted!! ? what is the reason for alcohol free witch hazel? My bottle of witch hazel says 100% natural, containing natural grain alcohol 14%. I’m new to using oils so…would you use all the same oil in one batch or a mix of a few? If mix, what are some of the most popular combinations? It shows 4 possible combinations you can use. Thank you. I was reading it as just those oils. I do have my own way of seeing things at times. I feel pretty silly now. Totally up to you– I wouldn’t use all mint, as it might be strong though. Maybe mix the mint and citrus. 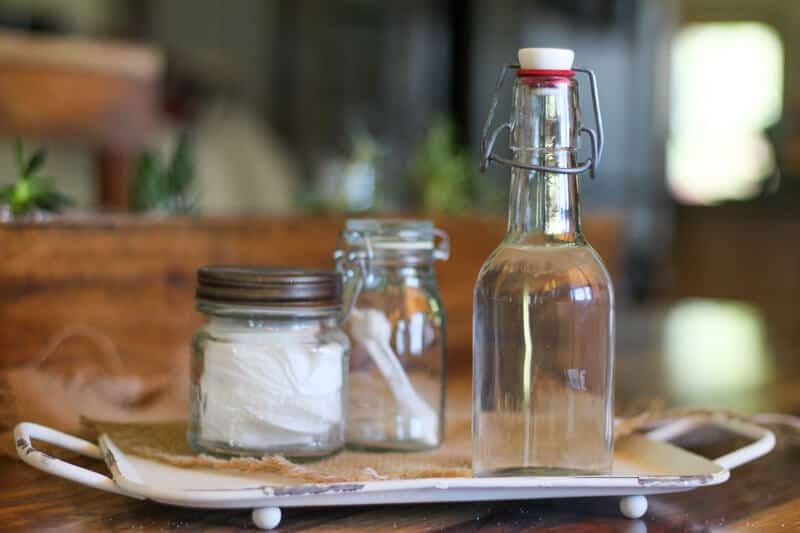 How much water should be added to this recipe — as it doesn’t tell what size mason jar to use. Thanks. The ingredients state 1 cup of water. so love this! Been mixing my own for years, but this is much better! Due to severe Gum disease, my Dr. was amazed with how Clove essential oil has helped my gums! 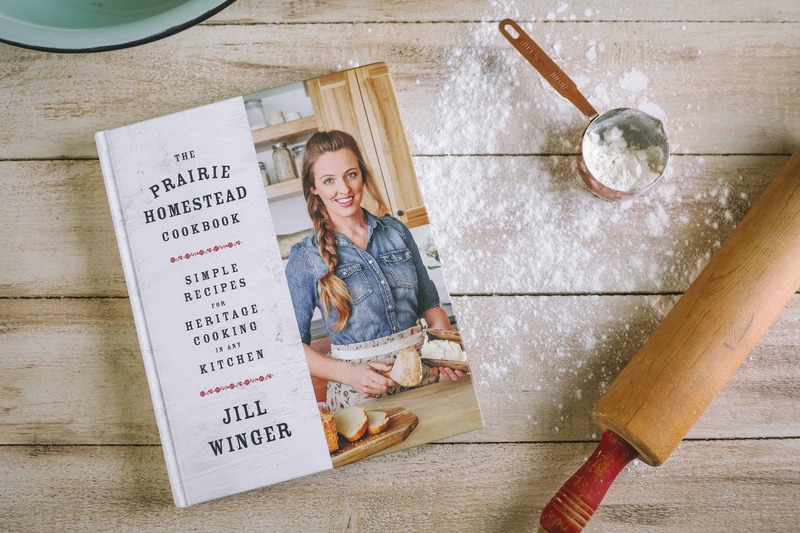 Thank you so much for sharing this with Prairie Homestead readers! 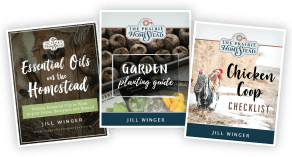 Now I just need a great essential oil guide book..any recommendations? Thank you! 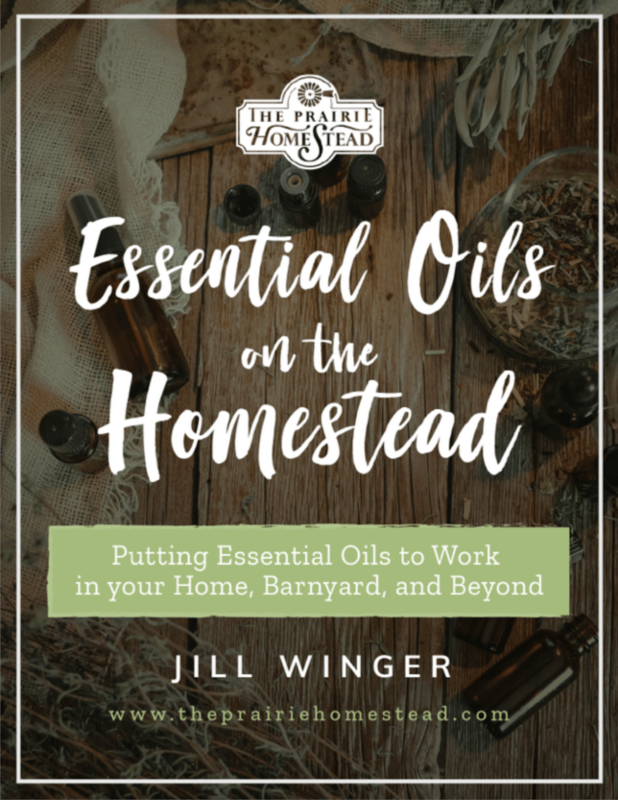 Modern Essentials is the best resource ever for understanding the science and usage of essential oils. I love Modern Essentials or The Essential Life. And so exciting about the clove oil! Sorry if I missed where it says but “How long does this mouthwash keep for”? I would say at least a couple weeks. Is there room for Xylitol in this recipe for it’s anti cavity properties? I’m not sure if Xylitol has anti cavity properties, but the essential oils, DO. And what I DO know is Xylitol is lethal if a pet ingests it, so how good can it be for people? Just my humble opinion. I believe the essential oils will be surprisingly refreshing, and no sweeteners, especially artificial/toxic ones, are needed. Try it for yourself! I’ve been told that xylitol is toxic only to dogs, as is chocolate to dogs only. Sure– you could definitely add some Xylitol. I stopped using Xylitol as it gives me diarrhea. Is it 12 drops of each Essential Oil or 12 TOTAL combined? Also how much would you swish, a tsp or TBSP? 12 drops of E.O. seems like a lot. I have burning mouth syndrome. I can tolerate 2 drops of lemon essential oil in a 20 oz thermal mug. So that’s why I question 12 drops. But I guess you are swishing with it instead of drinking it. Any suggsetion of which oil would be best for me? You can always play with the recipe and decrease amounts if needed. Someone asked about the “ALCOHOL FREE WITCH HAZEL” and I was wondering the same thing. Care to chime in, Jill? My kids love mouthwash but I refuse to buy the stuff in the store. 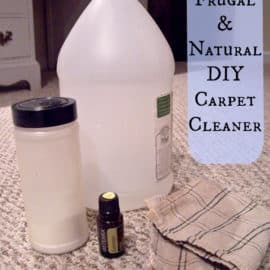 This recipe truly came the EXACT week my husband put “kid mouthwash” on our grocery list..
I’m not a doctor or scientist, but the alcohol in the witch hazel is not that much considering how much you’re using in the recipe. This little bit of alcohol will actually help to blend the mixture better. While it won’t make it completely miscible, it does mix it better every time you shake it so it’s more uniform. They do have alcohol free witch hazel. You could try Thayers alcohol free witch hazel that you can buy online or find in the stores if they carry it. As far as the external use only, again, I’m not a doctor, but you should be fine for the amount used in the recipe and you are rinsing your mouth after you swish the mouthwash. As with any homemade recipe, always proceed with caution. I accidentally bought the witch hazel that is not alcohol free. Can I still use it? Listerine is best for soaking feet. It removes all the dried skin! I went to the site you lissted for the fractionated coconut oil and it says FOR EXTERNAL USE ONLY yet you are telling us to use if for a mouthwash. This does not sound right???? I was thinking the same, and going to ask the same question. I have not yet seen a fractionated coc oil that is for INTERNAL use at all. Anyone know if there is such a thing? I wouldn’t worry about it too much as you are spitting it out, not swallowing it. No one addressed the Witch Hazel comment? First time on your site and am super eager to try this recipe! Could you please clarify the above 5 questions regarding use of alcohol free witch hazel? Thank you. I thought witch hazel is for external use only, well, at least that is what it says on the bottle. Please advised.